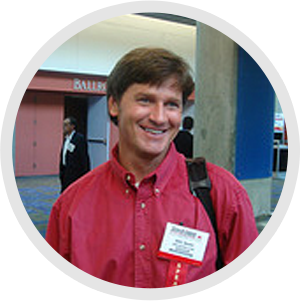 I’m Eric Ward, and since 1994 I’ve helped over 1,000 websites develop, create, and execute effective content linking and promotion strategies. During that time, nobody in the industry has devoted more of their professional life to the study of links and their role in content discovery than I have. As a result of my focus and longevity, some have called me a link building expert, but there’s much more to my link building strategies, services and consultations than just building links. I know this page is long, but if you take the time to read through it, you’ll come away with a different perspective about links, and learn how my approach, philosophy, process and practices help you succeed. Google is important, but…online marketing isn’t just about links and Google rankings, and you should never give a search engine the power to control your fate. Your site, app, and all content assets deserve the best chance for discovery via organic search, earned links, social media, selective promotion and beyond. The reality is if you focus less on Google and more on business building strategies, you end up ranking higher at Google anyway. Thanks for the great work on our launch, Eric. Your efforts and report were excellent. When Eric talks about link building, you listen. 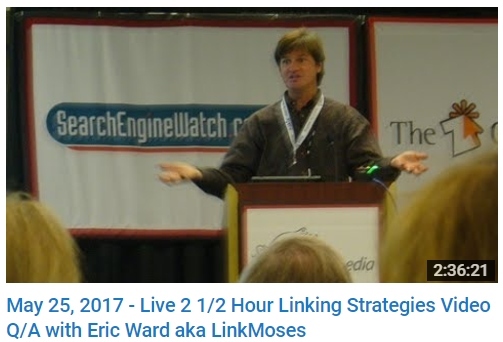 Eric has been educating people about digital marketing and links since before search engines decided links were important. Read and learn! Eric is a promotion and link building guru. Lightning strikes… My career took off when Jeff Bezos personally hired me to handle the publicity and linking for Amazon.com’s launch, which I did from my kitchen table on a dial-up modem. I also helped Jay Steinfeld’s Blinds.com go from a $3,000 startup to a $200 million enterprise that was bought by Home Depot. But I’ve failed as well. I tried to help many early dot-com pipe-dreams, and watched many of them burn through millions of dollars in VC money on their way to oblivion. I made (and sadly lost) a fortune along the way. That’s why I’m still working instead of sitting on a beach in Hawaii, especially with three kids still to put through college. But hey…live and learn, right? Onward. The Big Guys… I’ve developed linking strategies for sites including Amazon.com, Disney.com, Discovery.com, NBC Sports, TravelChannel.com, Microsoft.com Law.com, BBC.com, NationalGeographic.com, PBS.org, Berklee.edu, Weather.com, the United States Olympic Committee, The New York Times, and NASA.gov. The Smaller Guys… Big name sites are great to work with, but over the years I’ve seen my work and skill-set have a huge impact helping medium and smaller niche sites, which often need help the most. I’ve worked with hundreds of niche businesses, like JewishGiftPlace.com, Furniture.com, BioEd Online, Mountain Laurel Handrails, GasBuddy.com, and 1-800-bakery.com. When I first started out, we didn’t call what I do link building, we called it awareness building, publicity, and site promotion. With all that said, I don’t have all the answers (nobody does), but the chances are I have many of the answers you need. I’ve conducted hundreds of backlink audits. I’ve executed outreach for hundreds of sites. • Monthly Linking Tactics Report “LinkMoses Private” ($8 – subscribers in over 20 countries). I understand and I can help you. In the two decades, I’ve been a linking strategist I’ve never seen so much confusion, misinformation, bad advice, and reckless tactics as I see being used today. I’ve been helping websites with their content linking strategies since before Google existed. Danny Sullivan introduced me as “LinkMoses” at one of his conferences, and the nickname stuck. Site owners and agencies reach out to me for my experience and understanding of the web’s vast link ecosystem. I’ve analyzed millions of links and thousands of backlink profiles. I’ve conducted outreach and developed links for hundreds of sites. 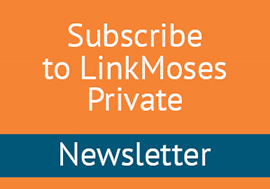 I’ve written a top-selling book, and every month I publish a linking strategies newsletter called LinkMoses Private which has subscribers in over 20 countries. I also maintain a free archive of over 300 of my previous linking strategy columns, videos, webcasts, and interviews. In addition to developing linking strategies for clients, I offer link development consulting, training, RFP vetting, and for those considering purchasing websites, I provide M/A counsel and recommendations based on my own proprietary linking analytics. For companies looking to hire their own in-house linking strategists, my experience will help you evaluate and screen candidates to make sure you make the right hire. Desktops. Tablets. Phones. Being online means more than just “the web”, and links exist everywhere; on a web page, inside an app, in a tweet, on a Pinterest board, on a receipt sent to your phone, or even somewhere as crazy as on a sugar cookie (seriously). The best linking strategy experts understand this, adapt and evolve, and never stop learning. The web is big. Bigger than Google. If your primary linking strategy is to outsmart Google’s evolving algorithm, you’re playing a fool’s game, especially now that Penguin is baked into the algorithm. I don’t use tricks, I don’t manipulate, and I don’t risk my client’s reputations. I have never had a client penalized or “demoted” due to linking strategies I recommended. The reality is “link building” is a dated concept, and doesn’t do justice to the process needed to succeed today. I’ve spent thousands of hours (and dollars) analyzing how the web’s vast link graph impacts how content is discovered. I use what I’ve learned to help you. Every project I work on requires its own strategy. I often work in tandem with my clients, which allows us to maximize each other’s knowledge. The linking strategies I develop with you are based on your content assets, business niche, strategy gaps, and most of all, realistic expectations. By using a combination of techniques and tactics ranging from laser-focused online public relations to link development, we succeed together. If you’d like to work with me the best starting point is to request a Live Linking Strategy Review. I’m confident enough about my ability to help you that if you and aren’t happy with my findings and recommendations, I’ll send your fee back and wish you the best. If you’re hesitant to send the payment without some contact with me first, I understand. You can use the link below to contact me. I do my best to return emails within 24 hours. During my years online I’ve been cautious about how I’ve pursued links and citations for my own site, and I’ve done pretty well, especially for a one-person business. By speaking at 150+ conferences, writing a few hundred columns, authoring the book The Ultimate Guide to Link Building, and participating in 40+ link building videos and webinars, I’ve been able to attract and encourage links. However… if you’re thinking I’m your secret to #1 rankings at Google, I’m not. The web is way bigger than one search engine, and your online marketing strategies need to be as well. The more you rely on Google for the majority of your organic success, the more likely it is you wont be around in a couple years. It’s fine to maximize what Google will give you, but get busy diversifying. My site is proof that diversification works. If you’ve read this far, thank you. I hope you’ll keep reading. I have my own way of doing things. Please excuse my occasionally terse tone, but I’m tired. Tired of companies who sell useless linking services. Tired of “guaranteed rankings”. Tired of agencies selling the identical “linking campaign” to bakeries and dentists. As for my site, it’s text heavy on purpose. At this point in my career I don’t feel the need to impress you with fancy graphics. A vast amount of amazing content exists online, but most of it fails to get the attention it deserves because people are fearful about what types of tactics and awareness building strategies are safe and effective. I’ve NEVER had a client penalized, and my clients succeed. My business life changed forever the day Jeff Bezos asked me to announce and publicize Amazon.com’s debut. I carried out my work for Jeff from my kitchen table on a dial-up modem. That project proved to me that my business model could succeed. For years, too many companies relied on free traffic from Google for their success. At trade shows I’d caution people that Google was not going to be fooled forever. I’d try to explain how links were like footprints that tell a story about your site. Google would get smarter and understand that story. Easy rankings would go away. Many people doubted my logic, especially since various link schemes proliferated and worked. An entire niche industry based on manipulative links grew and grew. I’d even see link selling vendors exhibiting at trade shows. Links had become a commodity. My logic must be flawed. But it turns out my logic wasn’t flawed after all. It took a while, but Google did get smarter, and more aggressive about how they handle manipulative links. I’ll help you carefully maximize what you can get from Google, but also show you how to develop multiple traffic streams so the next Google update isn’t a catastrophe. My expertise has always been helping digital content attract attention, publicity, earn links and mentions, and ultimately find its rightful place online. While I recognize Google can be part of that, there are many more ways to make sure your digital assets get the attention they deserve. My linking and awareness building methods have adapted, sharpened and improved over my career. Sixteen years ago I was asked to contribute a chapter for Mitchell Levy’s book Evolve-Or-Die along with many of the world’s top online marketers. Since then hundreds of “experts” have vanished, while I continue to thrive. Why? I chose to evolve. I’ve worked with many of the biggest names in our industry, while purposely remaining a one-man operation and staying true to my roots. My office is above my garage, where I’m near my kids and the Smoky Mountains. My preference is helping medium and small niche businesses succeed. Smart marketers accept that trying to manipulate Google with links is a dangerous strategy. If you understand the risks and are willing to accept them, you can use whatever linking strategy you want. This isn’t an issue of law, it’s about risk vs. reward. But I won’t help you manipulate Google. I’ve never had a client penalized and never will. You’ve already heard one of my core beliefs; your linking strategies must allow your site to succeed with and without traffic from Google. At the same time, I recognize Google’s importance. Google has stated that “The right kind of links are still critical to their algorithm. Links are the backbone of the web and remain the primary way Google determines quality”. Links are the very fabric of the online world. Links are also how people get from one place to another online, whether by desktop, tablet, or smartphone, inside an app, by search or serendipity, with a mouse or a finger tap. So how do we reconcile this? By earning legitimate links and attracting attention using skills from a variety of fields, including marketing, public relations, a little data science, and even philosophy. There is no single “best way”. There is “the best way for your site”, which will be different for every site. My industry longevity validates and vindicates my methodologies. I’ve watched hundreds of so-called linking strategists come and go, and I’ve survived every Google update, because my methods aren’t based on tricks. There’s a reason I’ve ranked #1 or #2 at Google for the phrase “link building expert” since the day Google launched. Long before engines incorporated links into their algorithms, I’ve been offering link development services, content publicity plans, strategies, backlink audits and workshops that increase awareness of web sites. I work with individual site owners as well as small agencies who aren’t afraid to roll up their sleeves. The linking strategies I implemented for Amazon.com in 1995 were much different than the strategies I used for this Summer’s Rio Olympics site and apps. I’ve also worked with hundreds of smaller niche sites, using methods that are 100% earned. In the News – Media coverage, interviews, etc. Miss my hideous old site?- The old homepage still lives!